The right wheels for your vehicle. The wheels of your car are extremely important! The wheel that you choose will support your car’s tires and, therefore, the rest of your car! Normally, the wheels that are on your car when you purchase it are just fine, but some of our customers what to change them out for looks or for performance reasons. The pros at Felix Auto and Tire can swap out your wheels quickly and easily! If you aren’t sure which wheels will suit your car and, at the same time, give you maximum performance, don’t let your lack of knowledge stop you from exploring all the possibilities! At Felix Auto and Tire, we can help you choose the right wheel and rim size for your vehicle. Not every tire will fit on the same rim, so you definitely need someone in the know to help you choose wheels that not only look great, but also ones that will help your car ride smoother and safer. Wheels are often overlooked when it comes to performance, but we take everything into account to optimize your car’s performance! Alloy is the most common type of car wheel because it is attractive and can be forged into practically any design. Alloy wheels are also very durable. 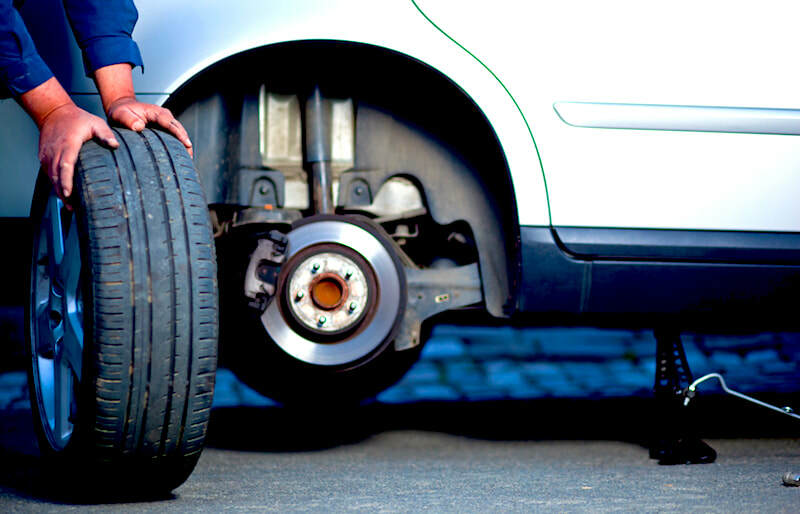 However, if you are in an accident – even a minor one – your wheels could get bent or scratched. If you don’t have a repair shop that knows how to handle alloy wheel repair, you may be forced to replace the entire wheel and tire. Felix Auto and Tire doesn’t want you to have to do that! In most cases, we can repair your wheels so that you don’t have to replace them. We have equipment that is specially designed for these jobs, so your wheels will come out looking brand new! And if the damages is irreparable, we can replace the wheel and get you back on the road in no time! Of course, you can always opt for steel, chrome, or gold-plated rims, or choose from the endless selection of colored rims or spinners for a really flashy touch! Felix Auto and Tire can guide you through the many choices for your car rims and recommend the best option for your car.